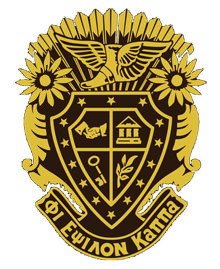 Phi Epsilon Kappa is the national professional fraternity for those engaged in or pursuing careers in physical education, health, recreation, dance, human performance, exercise science, sports medicine and sports management. Active members strive to foster scientific research in physical education and related fields and to promote community welfare. As part of its community service, the Alpha Eta chapter sponsors the annual Manhattan College Games. These games provide athletic competition to children with disabilities not eligible for the Special Olympics. The Alpha Eta chapter of Manhattan College received its charter in 1943.